This thread is sure a lot to read! 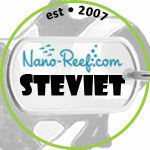 Hello RSM owners and my long lost friend Stevie. I am finally back in the hobby after RSM fixes its bend glass in the latest RSM C-250 model. That's the one I am going to get. Has anyone get their hands on one yet? Looks like they took your idea re the media basket. Royalty? lol, yeah right on the royalty. Looks cheap, we'll see what it looks like in person. Still a strange position not having water hit that first to keep the chambers detritus free, but they did the same in the 250. Hi Everyone. I'm new to the forum. 2 1/2 weeks into the cycle on my new RSM 130D. I'll try to keep you informed with my progress. And ask for advice when I encounter a problem. Will wait for the cycle to complete before thinking about livestock. Holy thread revival batman! So, who's RSM is still running? I just picked one up last night for an absolute bargain! Not sure how this tank is still considered a nano when it's 10x the size of my tank I've been running for the past 3years! Really excited to be able to have fish now! Dead thread revival. This is the latest rebirth of my RSM. Still some fuzz up top but getting better with every water change. Hey everyone! I just purchased my first salt water tank and went with the Red Sea Max C-130. Love it so far, but if anyone has any tidbits or advice, I would love it. 1. I'm not using my skimmer because it just makes micro bubbles and does not work. Any tips for how to fix this. I cleaned it a while ago and that did not help but I could try again? 2. 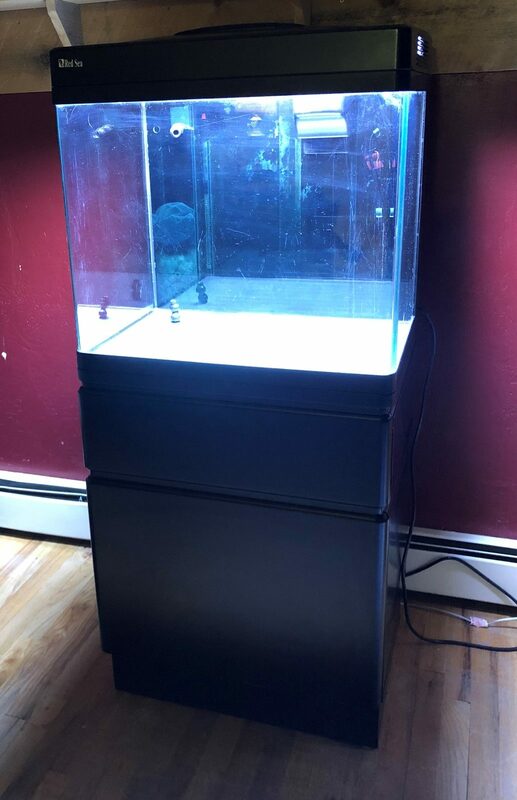 How do you set up mechanical filtration for this tank? 3. One of my return pumps is not working. Should I replace it with a pump upgrade OR replace both with pump upgrade or just replace with stock pump. If upgrade, which pump do you recommend. 4. 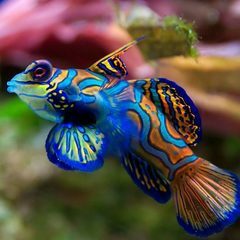 Do you recommend using the adjustable surface skimmer in the tank? Any tips for use of this. I like the look best without it. The stock pump is discontinued. Either go with the inTank pump upgrade kit or the Red Sea Max upgraded pump kit. I never used it, the org. 130 never came with one. Didn't add one because of the look. Up to you, some use it, some do not depends on if you want your water level above the black rim or not. Do the stock pumps of the Red Sea 130D provide enough flow for a mixed reef of softies, LPS and easy SPS (montis and birdsnest)? I have a retro fit LED light with hood. If not, what is your recommendation to improve flow BUT limit the amount of clutter, equipment, cords, etc. in the display??? You will need, and want more flow in the display. Circulation pumps are more for filtration. I have a RSM 130 with a tunze skimmer. I'm having a problem with evaporation changing the water level on the tunze which doesn't allow me to skim all the time. I either get the level too low and get nothing or to high and don't get good skimmate. Aside from putting on an ATO, has anyone been able to successfully maintain a steady water level so the a tunze or similar skimmers? Some input would be appreciated. I got rid of the stock 2 pumps and upgraded to the deluxe single pump (I was blowing bubbles frequently with the stock pump) thinking that might help the water levels. Since I upgraded, I'm no longer blowing bubbles and the water level in the filtration chamber is still variable. And now seem to have a harder time regulating the water temp (new pump possibly runs warmer?). I would prefer not to purchase a ATO as I don't have to room for it in the current location. Thank you in advance. I I would prefer not to purchase a ATO as I don't have to room for it in the current location. Thank you in advance. Not only for the skimmer but topping off keeps salinity stable. It's best to have an ATO, allows you not to be a slave to the tank. How do you not have room for one? The reservoir can fit int he stand and the units are itty bitty tiny tinny these days. I'm skimmerless by choice due to the abundance of macros. I actually did use the back chamber for Chaeto and it worked well. Use a small slice of the stock black sponge to fit the baffle the heater goes in (heater can be removed from that chamber and suctioned on to the media basket or tunze. Right now I have a nano reactor in the back. EDIT: you mean the surface skimmer? Yes I had that, and as you will see for yourself, the thing messes with the water level, takes up too much space and will need to be removed. Time to beat a dead thread. How often did you have to change the sponge that blocked the heater baffle? I'm thinking of doing this to my tank, did you find it to be effective? Is there any reason I shouldn't do it? Oh wow - blast form the past - I can't remember honestly, that was 6 years ago! I ran a dirty tank so probably changed it or cleaned it often. Hey guys I know this thread is kinda old but I just picked up this max 250 for a steal. The PO just removed the rock and drained the tank. 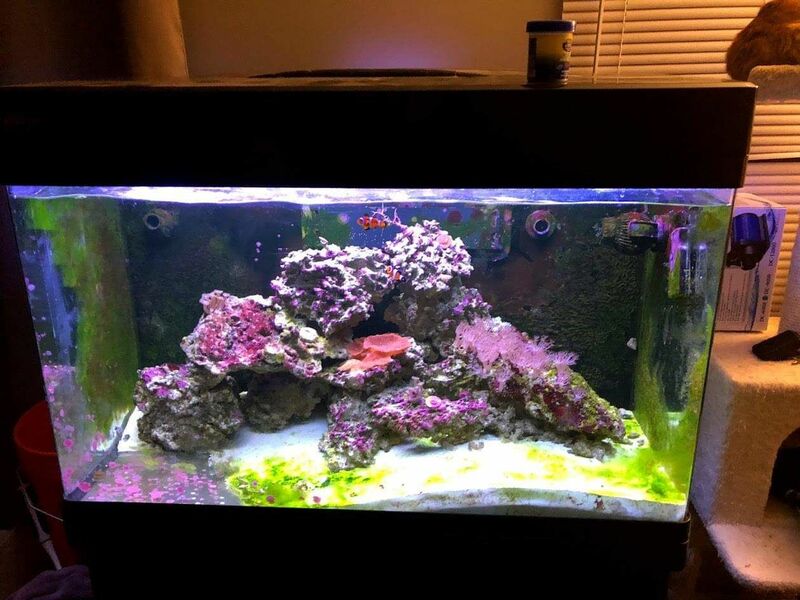 Any suggestions on cleaning the coralline and green algae off the glass and plastic? Thanks! Razor scraper I believe would do the trick. Picked up a used RSM 130. First reef tank in about 10 years. Will be stock besides lighting. I will be taking my time with this setup getting it "right" the first time. Congrats, excited to see what you do! Awesome! Was beginning to wonder if anyone reads these posts haha. I will take some pics and document as best as I can then.